“Hey! Tyler Shenk with Utah Key Real Estate here. 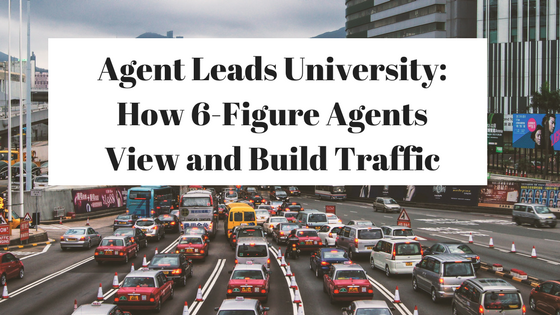 Just want to give a shout out to Agent Leads University for helping me step up my business to the next level. 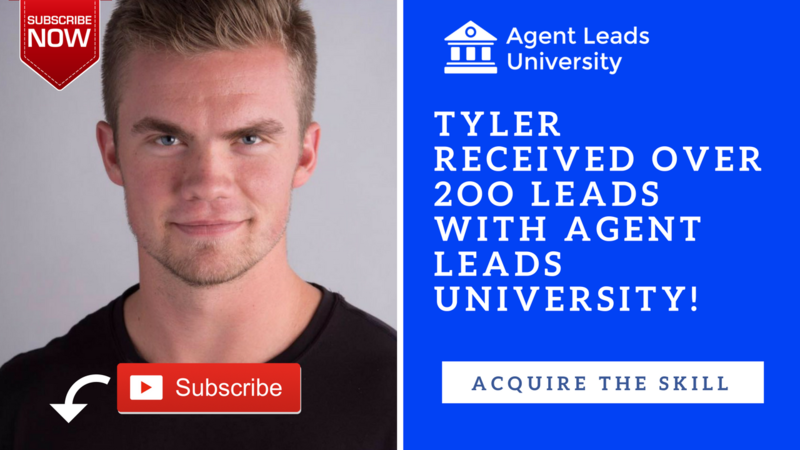 Since working with Agent Leads, I have received over 200 new leads, and it's been a massive blessing for me and my business. Before working with Agent Leads, I was really seeking a leads source that I could depend on and count on. You know, I've been, honestly up to this point, just been kind of lucky on past client referrals, but I've only been in the business for three years, so it's been very sporadic. I'm really just looking to step up my game and be more consistent, and Agent Leads University has provided that for me. Since working with Agent Leads, like I said, I've had 200 new leads. Of those 200 leads, I've quoted one seller, and I've also started working with a new buyer. This woman, she's currently a homeowner, and she's lived in her home for 40 years, and the city is forcing her out because they're going to expand a major highway where her home currently sits. She's absolutely devastated, you know, she doesn't want to move, and she's a little pissed off to be quite honest, but she's scared as well, or going to meet with her beforehand, at least, she was very scared of the process and didn't know what it looks like, and doesn't know how to go about it. It's been a massive blessing to connect with her because I helped ease her mind, and basically let her know I'm going to hold her hand through this process and show her how to do it right. She's been incredibly grateful. It's been a massive blessing because that's what we're in the business for as real estate agents, if you're like me, you love getting the hugs at the closing table, you love changing and impacting people's lives, and helping them with a smooth transition with such a massive decision. That's what drives me, at least. So, thank you, Agent Leads. Thank you for helping me find this woman and help change her life for the better, and help her with this process. My preferred way of following up with my new leads is a text, and that text will say, "Hey, it's Tyler Shenk with Utah Key Real Estate. I know that you requested a list of homes off of Facebook. I just wanted to touch base with you and see when do you hope to be in your new home?" I typically receive, or have received, a good response to that text. That's been the best one for me, at least. I find that asking when they hope to be in their new home kind of triggers, or targets, the emotional aspect of buying a new home. It's when do you want to obtain your new goal? When? How soon are you hoping to have that in hand or in your life? To me, people see that as a very soft way. It's not saying, "Hey, let me help be your real estate agent right this second," you know, it's not about the commission check obviously. It's about, how can I help you? What are you looking to do and when? If I don't receive a text back from a client, or a potential client, I will call them the next day. If I don't receive a call back, or a text back, from that, I will then email them the next day, and then set them up on an email drip campaign. I might text them one more time, but quite frankly, after that I kind of move on, and I wait for them to either reach out to me from my emails, or if they don't then I just write them off because I want to work with people who want to work with me is the bottom line, and people who want to work with you, and who will appreciate your service are going to reach out and respond back to you. That's been my truth. That's been what's most helpful for me in prospecting new business, you know, because new business can be scary to some people. It can be a little threatening, but when you have the mindset of looking for people who want to work with you, and who will appreciate you, it's a game changer. 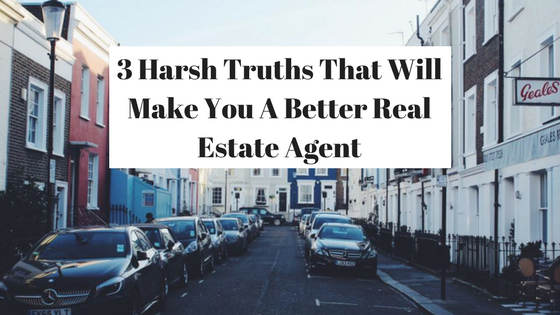 Schedule a free consultation phone call to find out how Agent Leads can help you! Hey, guys. Josh here! 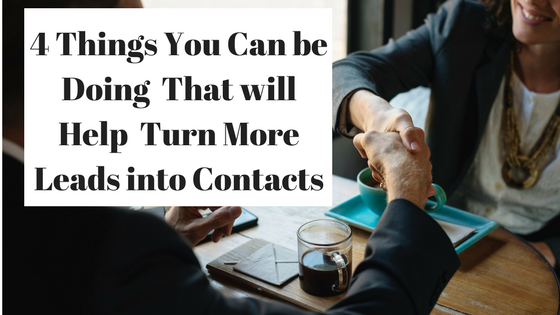 This post is about four ways that you're probably not turning leads into contracts, or four things or methods that work in your marketing, and in your sale's follow-up. 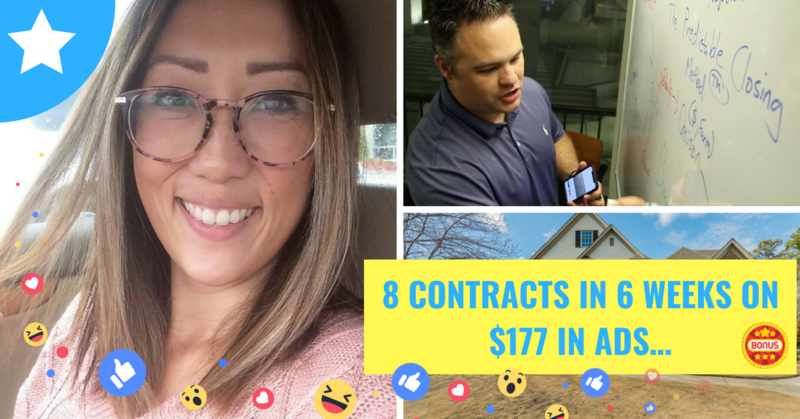 This is to help you take likes, shares, comments, turn them into leads, and turn those leads into conversations, meaningful interactions, and obviously appointments, contracts, and closings. Whenever you generate a lead, especially through Facebook, send them a friend request. You want to friend request these Facebook leads that come in because, number one, Facebook personal profiles now in the recent months have more reach than they've had in a long time. What I mean by "reach" is they organically show up when you post more often to your friends and family. Now, if your lead isn't your friend, then it's hard for them to be seen by you more often. When you send them a friend request, not only are they seeing your advertisement that's going across the newsfeed channels, but they're also now going to see your personal posts. They're also gonna be able to look at your personal profile and you're gonna be able to connect with them on Facebook Messenger more often. Facebook Messenger is an unbelievable avenue of engagement because open rates, click-through rates, all of the above are just infinitely higher there than text and email. It's a huge opportunity to send a friend request to every lead that comes through the door. When you do that, you grow your sphere of influence. You grow your referral network. 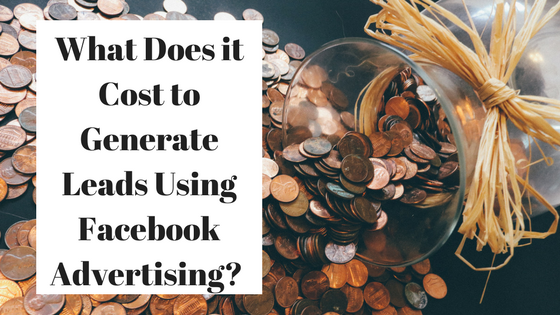 Your paid Facebook ads not only are generating leads for you, but they're also an opportunity to burrow out, widen, create a larger SOI, a larger network of known individuals. Remember, there's three kinds of traffic: cold, warm, hot. Your ads are running the cold traffic. People have never heard of you before. But when they've heard of you, when they see you and they give you their name, email address, and phone number, you're moving them to warm traffic. Warm traffic, that's where if you come their friend on Facebook it's a lot easier to move them over to hot traffic. Hot traffic's where we're seeing appointments and contracts and closings come in. Start a Facebook group. Start a Facebook group and then invite all those friends and all those leads to join your Facebook group. Now, why are Facebook groups important? Well, with the recent algorithm changes, the organic reach of a Facebook page, not Facebook advertising, that's over here on the side and it's operating and it still operates and works very well, but the organic, non-paid reach of a business page has been greatly diminished almost to zero because they need to make more room for the advertising inventory out there. There's more advertisers on Facebook than ever. The Facebook business page organic reach is down, but if you create groups you're effectively creating more inventory for Facebook to create more engagement amongst their personal profiles. When you invite friends to Facebook groups, then you have another platform. It's literally like creating a whole new world or arena for them to engage with you. What if you had a Facebook group and once a week on scheduled date and time you always did a live open house or a live virtual tour? I have Facebook Live trainings in our curriculum and our training center that you can use, but Facebook groups, their organic power is strong. When you're their friend and when you have them in a group, after they've seen an ad and they've given you their information, that's three levels of just permeation into their world that you can use to nurture them into a contract relationship down the road. Document what you're doing in your professional life. Don't feel like you have to go and create Hollywood-produced videos. You don't have to have a studio or anything. 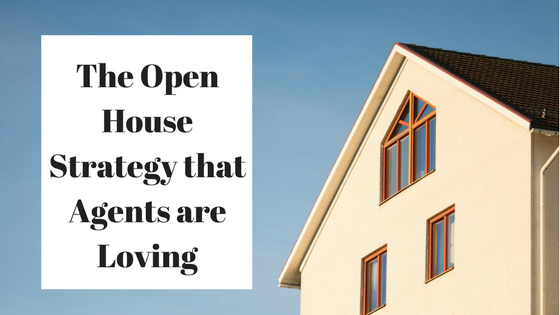 You can just do a live video at an open house or at your lender partner mortgage lender's office or on your front porch, whatever that is. Do Q & A's, first-time homebuyer Q & A sessions straight from your phone just like I'm doing it right now with this video. Do it inside the group. Do it from your personal profile. Do it on both. Utilize the document not creating strategy. Gary Vaynerchuck of VaynerMedia, big social media guru, super, super popular, his whole thing is “document, document, document”. In the normal pace of your workflow and the normal pace of your hustle and your grind as an agent, just document a few things two or three times a week. Make sure it's in that group or on that personal profile that I've alluded to in the first two points. 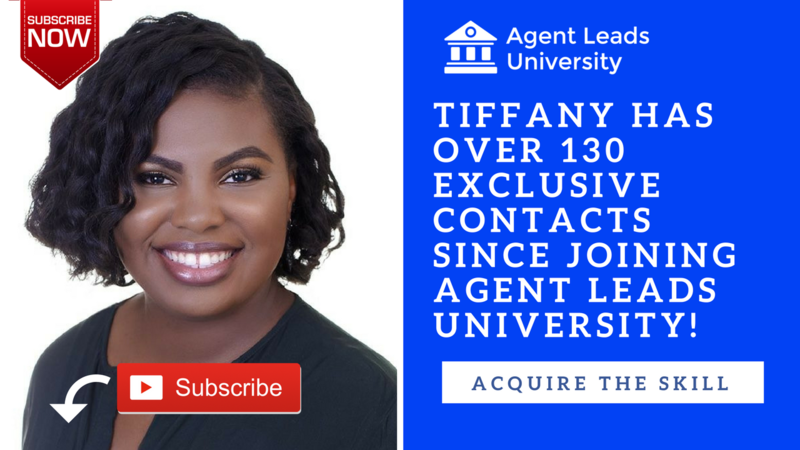 Lastly, if you're not doing an email newsletter, we obviously in Agent Leads University have auto-responders set up, what if you started an email newsletter and you sent out the 50 most expensive houses in your market every week once a week? That newsletter could be any topic. I just threw that out there because it helps position you as a more valuable service provider. At the end of the day, Email is not dead. What's dead is bad email, uninteresting email, email that doesn't matter, that's irrelevant. An email newsletter that's done well and done right is super, super valuable, if not for anything as a positioning tool that positions you as a thought leader, as a popular agent, as an agent who's in the know with the market conditions, as an agent who can sell my house fast, list my house quickly, get me the price that I want for my house, etc., etc., etc..
Email gives you an opportunity to do one thing, which is what all four of these tips that I've given you does, which is get attention and maintain attention. Attention is your number one most important aspect in your business. 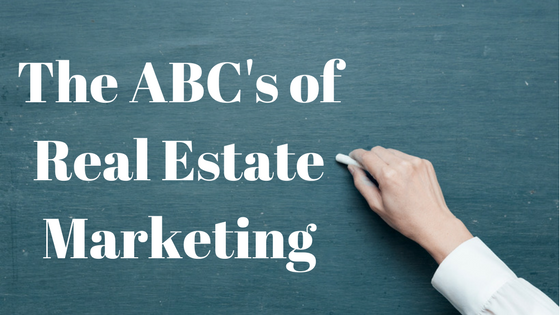 Don't forget, your business is not writing contracts and showing houses and getting listing appointments. Your business is the sales and marketing of your service. Concentrate on the sales and marketing of your service. Utilize these tips that I've given you and in review, send your leads a friend request, start a Facebook group, document your strategies, document your movements, document what's going on in your everyday professional life. You can use personal, too. Use those videos in your personal profile, in your groups, and then lastly make sure you are emailing everyone every week, no matter what. Hope this was helpful. Comment below if you need anything. Ask questions, whatever it might be. Look forward to hearing from you!